Sometimes there’s wrapping paper that’s too cute to rip into and discard. 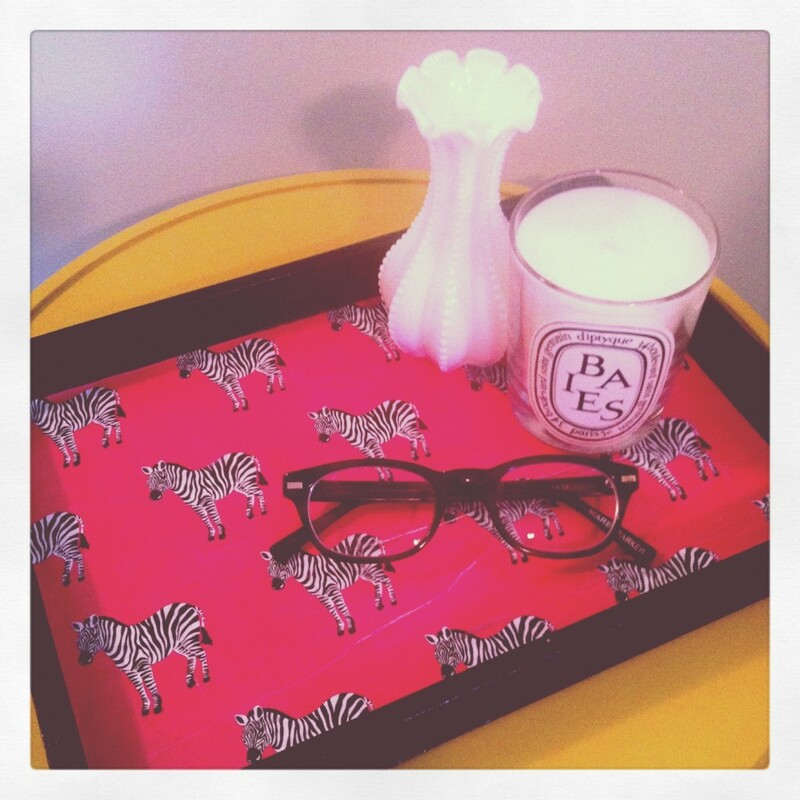 Such was the case with this absolutely adorable hot pink zebra paper that wrapped up one of my birthday gifts, I just had to do something with it to keep it around. I used the top of a wooden box to create a small tray and with some paint and a little decoupage I can enjoy the paper every day now. (I liked the paper so much, I even went back to the store to get some more! You can find it here: Paper-Source). 4 Responses to "Hot Pink Zebras." What a fun idea for that wrapping paper you cant bring your self to rip through (or get rid of!). I bet this looks so chic on your night stand! So cute! I always find the best wrapping paper that I’m almost too sad to use on a silly present. This is a perfect solution! Paper Source is the best! (And also kind of the worst…in the wallet department, because I want to buy everything in there). What a great idea this is!